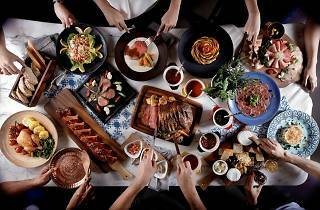 Meat lovers, clear your schedule for Thursday night semi-buffet dinners at Plate at Carlton City Hotel. Gather your friends and choose a main course each – share the dishes or have the plate to yourself – options include chargrilled Australian grain-fed beef rib eye steak, grilled rack of lamb marinated in mustard and cilantro, baked Cajun spring chicken and lemon-chipotle barbecued pork loin ribs. 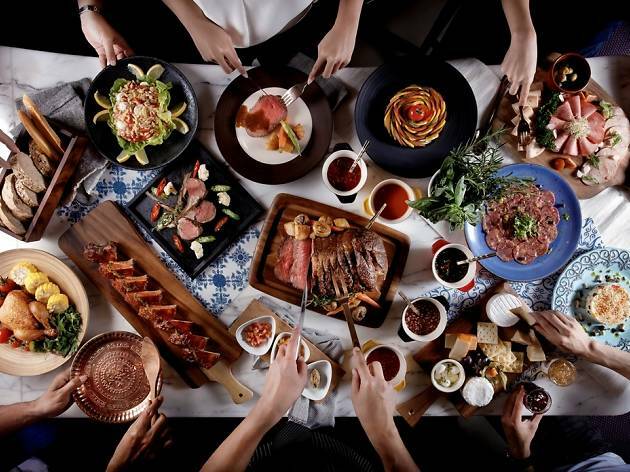 Also, fill up on the meat-heavy free flow appetisers such as the pepperoni, prosciutto and Kalamata olive salad, duck breast rolls with mango strips, and marinated beef carpaccio. The semi-buffet also has a selection of soups, cheeses and desserts. For the month of June, enjoy this semi-buffet at $45 per person (usual price $62/pax), inclusive of a complimentary glass of wine.